Here are two deals that can gain you more Ultimate Rewards Points, with the Groupon deal you can gain 13 points per dollar, 12 from the mall and 1 from your Chase Ink/Bold or Freedom card. With Staples you can gain up to 2 points per dollar with the mall and 1-5 points (5 being with the Ink card) with your credit card. They have all sorts of delicious kosher groceries that you can purchase, but what I found really good were the prepared meals that they sell. You can have the meals shipped to you anywhere in the US, you will have to pay a seperate shipping fee of course. But this is a great option if you need to travel somewhere in the US that doesn't have kosher food. This coupon makes these meals very affordable. For instance, the Stir Fry Chicken Vegetables with White Rice only costs $9.50 with this deal. 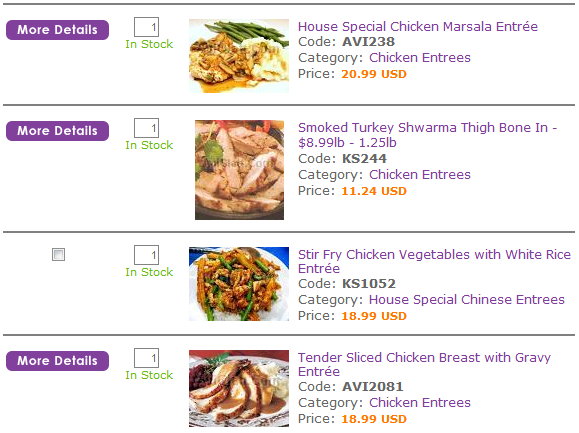 These meals come double wrapped so they can be warmed in a microwave.You may purchase 1 deal and then 4 as gifts. You can visit their website at AviGlatt.com and view this fantastic AviGlatt Groupon deal with this link (I get a referral credit). Hat tip Dansdeals.com! Staples is offering AGAIN the Trend Micro Titanium Antivirus 2012, Downloadable software (up to 10) at $35 each. The item number is 368658, the new rebate offer number is 12-84912. So, if you have bought this item the last few weeks you can purchase this again. This is just so great for so many of us that need those valuable Chase Ultimate Rewards Points or for those of you looking to spend for those minimums in order to get a bonus. Hat tip to FrequentMiler!